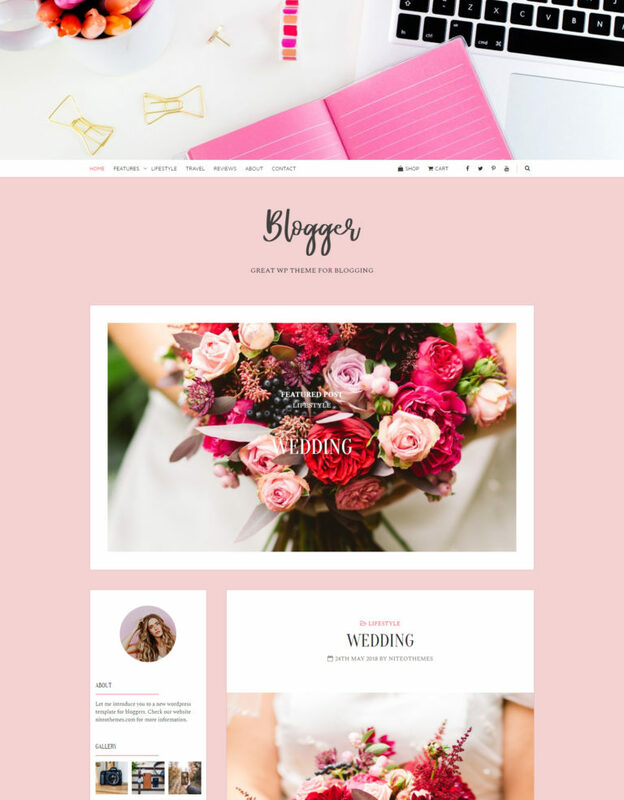 Select from our predefined demos below to preview Blogger Theme. Responsive design works on mobile devices. 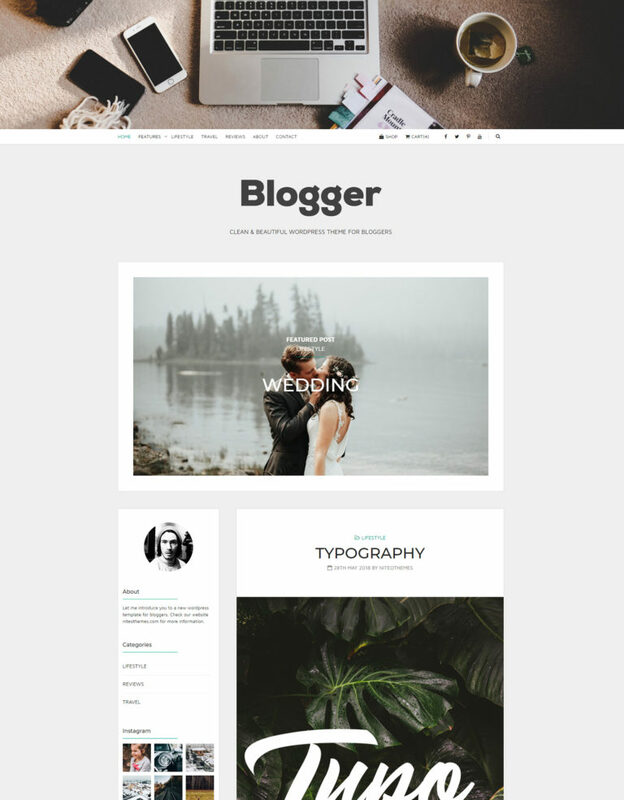 You can choose a “full details 1-column” or “2-columns grid thumbnail” layout for your Blog and Archive pages. 4 Menus locations: Primary Menu, Social menu in header, Social menu in Footer, WooCommerce menu in Header. Sticky posts support: displays as a slider above other posts. 3 widgets areas: Sidebar, Footer full-width and Footer 1, 2,4, or 4-columns widgets. Copyright imprint with custom HTML support. Instagram Widgets by WPZOOM plugin support. AJAX infinitive loading or standard pagination for Blog posts support. YouTube or local video header support. Full WooCommerce support with custom WooCommerce menu. Custom Header Images for Posts and Pages. 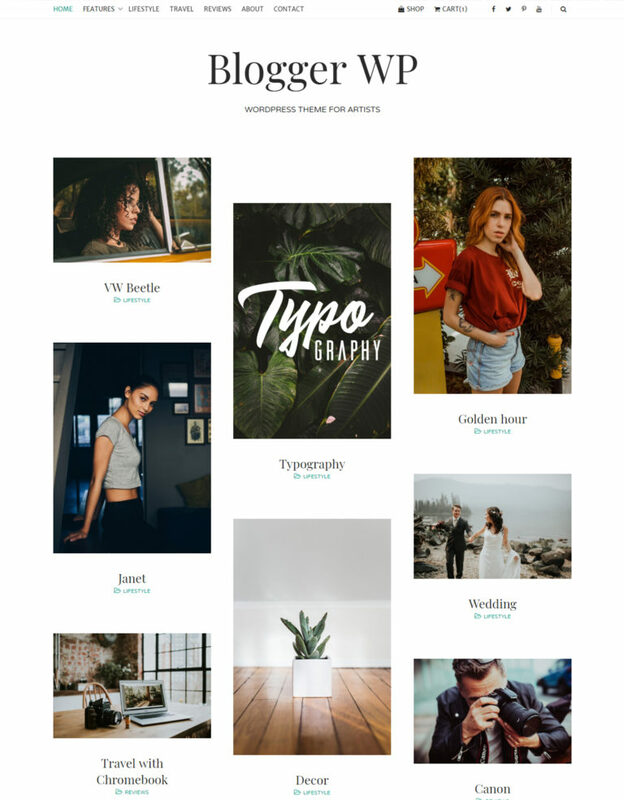 Full Width layout template for Posts and pages. Bundled our custom Shortcodes plugin with shortcodes for custom Buttons, Background Highlight, Underline Text, First Big Letter, Masonry Gallery and Image Slider. real-time customization via WordPress customizer with Kirki extension support. Custom logo with logo size settings. Posts AJAX loading or Pagination settings. Blog content custom width settings. Menu width customization – same as content or 100% width. Disable or enable borders on posts and pages. One column or two columns Blog posts support. Site Branding location under header or as overlay header settings. Sticky menu vs scrolling menu settings. Sidebar right or left location settings. Complete Typography settings – choose any Google Font-Family, variant and font-size separately for Content, Headings and Menu. Displays Footer Copyright with HTML Support. Enable or disable “back to top” icon after scroll down. Number of columns for widgets in footer area (1 – 4) settings. WooCommerce shop page number of products columns settings.